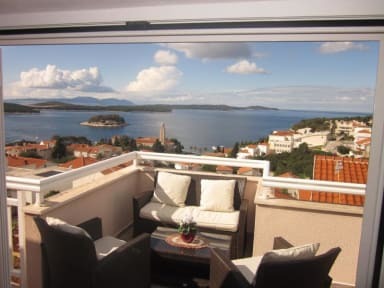 The Apartment is located at the entrance to the town of Hvar, 5 -10 minutes walk from downtown and the beach, on a quiet and peaceful area overlooking the sea, the city, and the hellish island fortress. 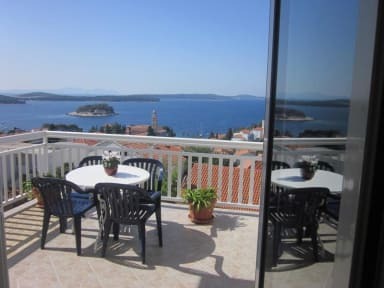 The Apartment is on the first floor of newly built detached house, fully furnished and all have terraces overlooking the sea, town and islands, the garden is a barbecue for all guests, and with the house and parking, all guests get welcome drink. Arrival at the apartment of 14 hours, and go up to 10 hours.